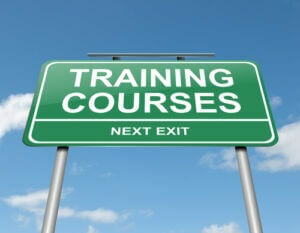 Illustration depicting a green roadsign with a training courses concept. Blue sky background. Photo courtesy of Shutterstock.